Maurice Templesman is one of the top funders of Barrack Obama and Hillary Clinton and the Democratic Party. Templesman was the unofficial ambassador to the Congo (Zaire) for years, but a new Israeli-American tycoon has replaced him. In the world of bling bling and bling bang, some things change, some stay the same. The CIA, the MOSSAD, the big mining companies, the offshore accounts and weapons dealsall hidden by the Western media. The holocaust in Central Africa has claimed some six to ten million people in Congo since 1996, with 1500 people dying daily. But while the Africans are the victims of perpetual Holocaust, the persecutors hide behind history, complaining that they are the persecuted, or pretending they are the saviors. Who is responsible? For Israeli-American Dan Gertler, business in blood drenched Congo is not merely business, it is a quest for the Holy Grail. Young Dan Gertler goes nowheredoes nothingwithout the spiritual guidance of Brooklyn-born Rabbi Chaim Yaakov Leibovitch, a personal friend of Condoleeza Rice. Gertler and Leibovitch are two of the principals behind a diamond mining company, Emaxon Finance Corporation, involved in the Democratic Republic of Congo (DRC). Gertler and gang won the majority rights to the diamonds from the state mining company, Société Minière de Bakwange, MIBA, found near the government-controlled town of Mbuji-Mayi, the rough diamond capital of the world. Emaxon Finance Corp. has apparently out-maneuvered diamond competitors, especially the big rivals Energem and De Beers. Energem is one of the many shady mining companies connected to Anthony Teixeira, a Portuguese born businessman now residing in South Africa whose daughter married Congolese warlord Jean-Pierre Bemba. The warlords deadly battle in Congo in March 2007 was a bid between rival agentsJean-Pierre Bemba and Joseph Kabilato be the black gatekeeper for the mining cartels run by dynastic families like Templesman, Oppenheimer, Mendell, Forrest, Blattner, Hertzov, Gertler and Steinmetz, and for companies like NIKANOR, whose stock prices rose early in July 2006 in expectation of a July 30th win for Joseph Kabila. Africa Confidential called President Kabilas 2003 visit to the Bush White House a coup for the Israeli diamond magnates Dan Gertler and Beny Steinmetz. Canadian-based Energem, formerly DiamondWorks, is owned by British mercenary Tony Buckingham and its director/shareholders include Mario and Tony Teixeira, J.P. Morgan, and Gertlers partner Israeli-American Beny Steinmetz (50%). Through subsidiary Branch Energy, the Energem-DiamondWorks gang has perpetuated war in 11 African countries. In December 2007, Energem re-launched itself on the London Stock Market with the newly laundered image of a renewable energy company. Regarding diamonds, it said only it had decided to give up exploration rights in the Central African Republic. The Energem spokesman explained that Tony Teixeira had a clean bill of health etc., etc. Of course, Energem quit the C.A.R. because Jean-Pierre Bemba marched his troops into C.A.R., where they raped and pillaged widely. Energem is still operating in Congo, but Dan Gertler is the new, unofficial ambassador to the Congo for the George W. Bush gang. Gertler and partners like Beny and Danny Steinmetz, Nir Livnat, Chaim Leibovitz and Yaakov Neeman run a hornets nest of companies involved in African hotspots, including: Dan Gertler International (DGI), Steinmetz Global Resources, International Diamond Industries, NIKANOR and Global Enterprises Corporate. In 2003, Condoleeza Rice, then Assistant to President Bush for National Security Affairs, introduced Dan Gertler and Chaim Leibovitch to U.S. official Jendayi Frazer, a Harvard Kennedy School affiliate and former National Security Council agent focused on Africa. On December 6, 2006, Frazer, then Assistant Secretary of State for African Affairs, was one of seven special Bush delegates sent to the inauguration of Congos newly installed President Joseph Kabila in Kinshasa. When Dan Gertler and Chaim Leibovitch and their friends visit the luxury Gertler villa in Lumumbashi, the capital of Katanga, Congos large southern province, their kosher meals arrive by private plane from Kinshasa. The special executive jet that flies their kosher meals a few hundred miles over the roadless Congo costs some $US 23,000 per trip. The average income for Congolese citizens each yearif they survive itis about $95. Shootings at mining facilities and diamond mines are common, land is stolen from Congolese people, strikes are crushed by security forces that companies are partnered with, and black overseers of state terror routinely arrest and torture any vocal oppositionand sometimes disappear themin support of white bosses. The Société Minière de BakwangeMIBAand the diamond fields of Mbuji-Mayi in Congo have a long history of bloodshed backed by Western powers, including Israel, from the beginning. Amnesty International points out that not a single state agent has ever been prosecuted for the extrajudicial executions of suspected illegal miners in Mbuji-Mayi. After a century of exploitation and slavery, we find MIBA consistently withholding payment of salaries to starving Congolese laborers and middle managers for months at a time. April and May 2007 saw strikes and protests leading to the Kabila governments arbitrary arrest, detention and torture of trade union organizers like Leon Ngoy Bululu; police have also shot protestors. So-called illegal diamond workersdisenfranchised local Congolese people forced into criminal activities to survivewere summarily executed on MIBA concessions in Mbuji-Mayi. MIBA security guards have also been sniping unemployed diamond miners. Meanwhile, Dan Gertlers kosher meals depart Kinshasa, the capital of the big Congo, through the arrangements of Rabbi Chlomo Bentolila, high priest of the Chabad of Central Africa. Rabbi Chlomo Bentolila has been a Kinshasa Rabbi since 1991, and he was a spiritual force who survived the terrorism of the old dinosaur, Mobutu Sese Seko, the way most elites did: by working with him. 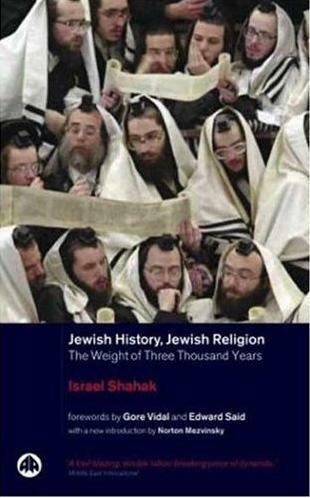 Rabbi Bentolila is a member of the Chabad Lubavitch Global Emissary Network, headquartered in Brooklyn, New York, and his wife Miriam is the sister of Rabbi Menahem Hadad, a high priest in Brussels. Dan Gertler often flies people into Congo, on his private jet, for sacred Jewish rituals. For the Bar Mitsvah of Rabbi Chlomo Bentolilas son Binyamin Avrahim in June 2005, guests included eminent Rabbis, Hassidic singer Yoni Shlomo and special orchestra Yossef Brami, all arriving in special flights from Israel, New York and Brussels. The reception was held at the luxurious and exclusive Memling Hotel. Joseph Kabila sent a sizeable delegation but did not attend: his closest advisers provided a blessing on his behalf. The Gertler, Steinmetz and Templesman interests are advanced in part through the support of the Committee of the Jewish Community of Kinshasale Comité de la Communauté Israélitethat is tightly coordinated with the power structure in Kinshasa to exert influence and assure control of Israeli-Belgian-Anglo-American interests over the geopolitical arena. From June 26-30, 2007, the Communaute Israelite de Kinshasa received a visit from the Israeli Ambassador Yaakov Revah, director of the Africa Department of the Israeli Ministry of Foreign Affairs; Revah also flew to Lumumbashi for meetings with Dan Gertler and his agents, including Moishe (Moses) Katumbi, the Governor of Katanga, and they most likely enjoyed a lovely, $23,000 kosher meal sent from the Chabad in Kinshasa. The Communaute Israelite de Kinshasa maintains very intimate political relations with President Joseph Kabilas PPRD party, the People's Party for Reconstruction and Democracy. On March 1, 2006, in a formal ceremony, the President of the Communaute Israelite de Kinshasa, Ashlan Piha, was awarded the Congos Medal of Civil Merit. Before his assassination on January 16, 2001, Laurent Desire Kabilathe President of the Democratic Republic of Congo (DRC)made a deal with the Gertler gang that would play out in favor of the current President Joseph Kabila and, it seems, be a central factor in relation to both Congos ongoing war and the bloody warlords battle in Kinshasa in March 2007. Back in 2000, former Congolese president Laurent Kabila offered a monopoly on Congolese diamonds, and 88% of the proceeds, to Gertlers International Diamond Industries (IDI) in exchange for Israeli military assistance to his new government. Top Congolese military officials apparently flew to Israel in 2000 to negotiate the deal. Gertler pledged military assistance to President Laurent Kabila through top Israeli officials. Security for mining operations in Congo is provided by exclusive security companies like Overseas Security Services (OSS) one of the many DRC interests of Belgian billionaire tycoon Philippe de Moerloose. A member of the Kinshasa elite, de Moerloose supplies jets and other presidential toys to DRC President Kabila. In 2006, President Joseph Kabilas campaign helicopter was at the centre of a legal battle involving Philippe de Moerloose. De Moerlooses companies operated in Mobutus Zaire from at least 1991, backing state terrorism and Western corporate plunder that was rendered invisible by the Western media. De Moerloose is also an adviser to European Union (EU) Commissionerand diamantaireLouis Michel. Dan Gertler and Philippe de Moerloose were, reportedly, the only two white men who attended the wedding of Joseph Kabila and the two clearly share interests in security provided by OSS at MIBA and elsewhere in Congo. The April 2003 secret agreement signed between the Gertler/Steinmetz company Emaxon Finance and the Kabila government involved MIBA and two de Moerloose companies, OSS-Congo and Demimpex, and other firms. Overseas Security Services (OSS) operations are apparently grounded in the experience of top expatriate security operatives formerly involved with the biggest security firm in Mobutus Zaire. According to OSS public relations materials, these persons have a not unimportant experience in the safety of this country. Providing mine security, body-guard and protection services, OSS operates in Burundi, Ivory Coast, Rwanda, Dubai, South Africa, Republic of Congo (Brazzavile) and Belgium, placing them in cahoots with all sides warring and plundering eastern Congo today. Emaxon Finance International is a real gem, one of these octopuses of mining tangled up with interlocking companies and subsidiaries based in specious geographical offshore tax havens that work to shield from prosecution people who are responsible for money laundering, weapons and drugs operations, assassinations and other terrorism. NIKANOR is registered as an Isle of Man (UK) company, an offshore tax haven that helps to conceal criminal activities and maximize profits. NIKANOR directors include Dan Kurtzer, former U.S. ambassador to Israel (2001-2005) and Principal Deputy Assistant Secretary of State for Intelligence and Research under Madeleine Albright. NIKANOR partners include Mende and Moshe Gertner [sic], Israeli property tycoons with vast holdings in London who control 22 percent of NIKANOR. Another partner is Israeli-born Nir Livnat, managing director of Johannesburg-based Ascot Diamonds, a member of the Steinmetz Group of Diamond Companies, and a principal involved in numerous U.S.-based businesses from Miami to New York. Back in 2001, when the Gertler enterprises surfaced in dirty diamond deals, public relations was handled by Lior Chorev, the Special Strategic and Communications Consultant to International Diamond Industries (IDI), and Chorev continued in this role to support Dan Gertler businesses. Today, Lior Chorev is partnered with the brothers Yuval and Eyal Arad as director-owners of the Israeli marketing and public relations firm, ARAD Communications. We do work for Mr. Gertler on some of his business issues, said Lior Chorev. ARADs many clients include Dan Gertler companies, Los Angeles-based Coral Diamonds and an Israeli aeronautics weaponry manufacturer producing Unmanned Aerospace Vehicles (UAVs)robotic weapons and intelligence platforms like those being used against the people of Congo today. As a political strategist, Lior Chorev has worked for Israeli Prime Minister Ariel Sharon and current Prime Minister Ehud Olmert. 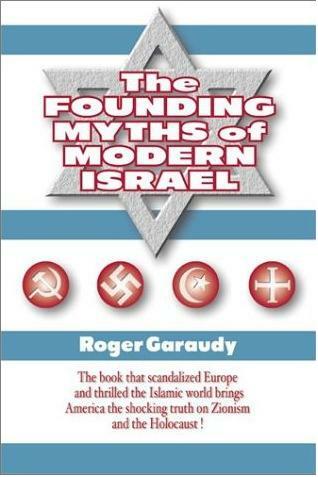 He has also participated in Israel-NATO defense planning conferences. Dan Gertler is close to Israeli politicians, especially Avigdor Lieberman, head of the right-wing Yisrael Beiteinu party, and he is very close to diamantaire Beny Steinmetz, a good friend of Prime Minister Ehud Olmert. Gertlers inseperable friend, Chaim Leibovitz, is also very close to Lieberman, and was a regular fixture in Prime Minister Benjamin Netanyahus offices. Beny Steinmetz is considered to be one of the richest billionaires in Israel. The Steinmetz Group, controlled with his brother Daniel, is one of the biggest clients of the de Beers diamond syndicate. Steinmetz is also involved in an Israeli real estate group that purchased the assets of the British Haslemere real estate company for $1.46 billion. Steinmetzs real estate partners include the billionaire Israeli investors David and Simon Reuben, and the Saudi Arabian Olayan Group, an investment company that is deeply connected with Bechtel Corporation. The Steinmetz web site map of operations hides their involvement in war-torn Congo. Seems Dan Gertlers land grabs and exclusion in Congo have a lot in common with the current crimes against humanity being committed by Israel through its illegal partition in the Middle East. On January 3, 2008, the Jerusalem Post reported that Lior Chorev was an integral part of past Prime Minister Ariel Sharons advisers, and he was recently quoted to say that even though Sharon did not get to finalize Israels final borders (he suffered a debilitating stroke in 2006), the route of the security fencewhich he decidedwould ultimately serve as the basis for the border and as Sharon's lasting legacy. In 2003, the U.N. Panel of Experts on war in Congo revealed that Emaxon Finance International is controlled by Israeli diamond traders Chaim Leibovitz and Dan Gertler. Emaxon lists as its address an office in Montreal, Canada, but Emaxons majority shareholder is listed as FTS Worldwide, a nebulous global corporation whose business address is that of a firm of lawyers, Mossack Fonseca & Company, in Panama City. FTS Worldwide is registered with the U.S. Securities Exchange Commission to lawyer Andre Zolty of Geneva Switzerland. A copy of the MIBA-Emaxon contract was signed on 13 April 2003 by Israeli-Americans Yaakov Neeman and Chaim Leibovitz. Yaakov Neeman is a founding partner of Herzog, Fox and Neeman, Tel Aviv, one of Israels top law firms, and he has held Israeli government cabinet and ministerial positions. Neeman is on the Advisory Board of Markstone Capital Group, a very influential group of investment bankers, with Eli Hurvitz. On the board of Israels Teva Pharmaceutical Industries with Eli Hurvitz is Northrup-Grumman director Philip Frost. Both Philip Frost and Maurice Templesman are top-level councilors for the American Stock Exchange. Eli Hurvitz sat on the International Advisory Counsel of Harvard Universitys Belfer Center, 2002-2005, during the period when the Belfer Center and their intelligence operative Robert Rotberg formalized the Kimberley Process to officially whitewash blood diamonds. Yakov Neeman is also a governor of the World Zionist Organization and Jewish Agency for Israel. One of the main objectives of the Kimberley Process, and the Harvard Belfer Centers role, was to protect the South African Oppenheimer and De Beers diamond cartels and their leading buyers and agents like Maurice Templesman and Beny Steinmetz. Added to those diamond industry firms whitewashed by the Kimberley Process are all the Zionist diamond dealers and cartels that have risen like a phoenix out of the ashes of the Holocaust. The Israeli-American enterprises of the Gertler/Steinmetz gang have proliferated and today are major shareholders or owners of diamond concessions in Congos Kasai province and copperbelt concessions in Katanga. The copperbelt is the big money in Congo. Copper prices recently hit an all time high due to monopoly control by corporations and new applications in transportation, aerospace and weaponry. Cobalt is used in dye and paint processes for manufacturing. More importantly, it is elemental to superalloys used for tank armor, spacecraft, turbines, ship hulls, ship hulls, blast furnaces, refineries, petroleum drilling rigs, nuclear reactors and nuclear weapons. Like coltan, or columbium-tantalite, cobalt is also used in cell phone batteries. The Katanga copperbelt is also rich in germanium, a rare metal used in optical fibers, infrared lenses and telecommunication satellites. The entire military-industrial-prisons complex revolves around minerals like cobalt, niobium and heterogenite (cobalt oxide), yet the truth about what happens to African people in lands taken over by these mining companies is hidden by the corporate media. More and more land is being stolen, more and more atrocities committed, with less and less transparency, and less and less accountability, and fewer and fewer voices for the voiceless. And, as usual, there are always a lot of empty promises. Over the past fifty years, elite Israeli nationals have perpetrated conflict and injustice in Africa, fueled by and for minerals. Operatives associated with the Israeli military or intelligence servicesthe Mossadmaintain strategic criminal syndicates in competition and in partnership with other syndicates involving men like Philippe De Moerloose, Louis Michel, Viscount Etienne Davignon, John Bredenkamp and Tony Buckingham. replaced diplomats as Israels main interlocutors with African leaders and political (mainly opposition) groups. The report cites rising involvement of private defense and security interests, especially in Angola, DRC and Central Africa Republic, since 1992. Retired Israeli Defense Forces Colonel Yair Klein reportedly organized arms for diamonds networks in Sierra Leone and Liberia after President Charles Taylor was deposed. In 1999 Klein was arrested in Sierra Leone on charges of smuggling arms to the rebel Revolutionary United Front. The U.N. also documented collaborations between Sierra Leone rebels and Lazare Kaplan agent Damian Gagnon; Lazare Kaplan International is one of the organized crime syndicates of Jewish American Maurice Templesman. The Steinmetz Group of companies are also involved in the bloody diamond fields of Sierra Leone, along with Energem (formerly DiamondWorks), the company described above that is connected to the white mercenaries depicted in Hollywoods Blood Diamond propaganda film. In December 2007, local people in Sierra Leone struggling to gain the smallest livelihood from their own resources were shot by police during peaceful protests against the Steinmetz-controlled Koidu Holdings site. Its the same old local peoples story, happening everywhere. These were people from communities driven off their own land by mining companies that promised the world, cajoled the trusting people, and gave nothing after. The Steinmetz gang called in the local paramilitary, a curfew was imposed and people were shot; the police, as usual, falsely claimed that protesters were armed. Like most mining mafias in Africa, the Israeli octopusorganized crime syndicates, offshore subsidiaries, interlocking directorships and affiliated mercenarieshas gripped the very heart of Congo like an octopus grips and stuns its prey. Mining regulates the pulse of Congo, and foreign mining companies with their black sell-out agents are sucking the blood out of the people and the wealth out of the land. Beyond the intriguing Jewish rivalry for diamonds in the heart of darkness, this tale takes a chilling turn with the involvement of certain German firms and New York City lawyers. NIKANOR, another Gertler/Steinmetz company of dubious origins operating in DRC, has a subcontract with the notorious ThyssenKrupp conglomerate, a company comprised of two former Nazi weapons manufacturers linked to the New York law firm of Sullivan and Cromwell, to Brown Brothers Harriman & Co., Lehman Brothers, Chase Manhattan Bank, J.P. Morgan, DuPont and IBM, in the great Nazi-American money plot. Brown Brothers Harriman & Company (BBH) was the primary Wall Street connection for German companies and the U.S. financial interests of Fritz Thyssen, an early financial backer of the Nazi party. BBH bought and shipped millions of dollars of gold, steel, fuel, coal, and U.S. treasury bonds to Germany. These were used to build Hitler's war machine, and the ties proliferated even after the Nazi concentration camps began churning out skeletons. The horrors of the concentration camps at Auschwitz, Birkenau and Buckenwald became public knowledge long before they became public outrage. It is the same story for Congo. There are no records or statistics of the numbers of people brutalized or killed in the diamond or cobalt mining areas, like Kolwezi, Mbuji Mayi, Tshikapa, Banalia, or Kananga in DRC, or Ndola in Zambia, and many of the victims of security abuses will never be known. When Gertler and Steinmetz and their buddies came to Congo it was soon clear that they had to challenge Zimbabwean tycoons John Bredenkamp and Billy Rautenbachtwo cronies of dictator Robert Mugabe involved in pillaging Congo and Zimbabwe for decades. The United Nations Panel of Experts on DRC named both men for plundering copper and cobalt from Katanga, and both deal globally in weapons. Bredenkamp is one of the fifty richest men in England and he reportedly owns a mansion several doors down from Margaret Thatchers residence in London. On November 7, 2007 it was reported that Dan Gertler was instrumental in putting together a deal in which Katanga Mining Ltd. would buy rival NIKANOR for $2.1 billion and merge their adjacent mine projects in Congo to form the worlds largest cobalt company. Also announced was a joint venture between the Central African Mining & Exploration Company (CAMEC) and another Gertler-controlled firm called Prairie International Limited. The CAMEC/Prairie joint venture will exploit DRCs Luita copper processing facility, develop the Mukondo Mountain cobalt minecalled the world's richest cobalt mineand work on other exploration properties. Prairie is majority owned by the family of Dan Gertler. CAMEC is connected to Zimbabwean/South African/British tycoon Billy Rautenbach. The DRC government effectively banned controversial Zimbabwean businessman Billy Rautenbach from the country by declaring him persona non grata in July 2007, but this doesnt seem to stop him from getting what he wants. Rautenbach is also wanted in South Africa on 300 charges of fraud, corruption and theft.Rautenbach is a former motor car rally driver who controls a business empire in Southern and Central Africa through a British Virgin Islands company called Ridgepoint Overseas Development Limited. In 1998, the short-lived President of Congo, Laurent Kabila, named Rautenbach the managing director of La Générale des Carrières et des Mines (Gécamines), one of Africa's biggest cobalt mines, the Katanga properties of the Union Miniere de Haut Katanga formerly developed by the Belgian colonial government. Rautenbach today is one of the Africa's largest exporters of heterogenite (cobalt ore) from the DRC through his Congo Cobalt Company (CoCoCo), but he also has shares in two other lucrative DRC mining firmsBoss and Mukondowhich reportedly earn over US$100 million a month. While there has been a lot of Western media fanfare over the Kabila governments supposed independent review of mining contracts, little substantive change can be expected. Structural factors exploit the Congolese people and lands and benefit white businessmen, arms dealers, bankers, and their embraceable black agents. Big business benefits from perception management articles well-placed in media to give the impression that the international system is just, that there are watchdogs, checks and balances. However, while the DRC and the World Bank present a propaganda front about their ostensible attention to mining reform and the new mining code, NIKANORMining Journal reportsis in the advantageous position of having entered into a post mining-code contract, which makes us [NIKANOR] relatively comfortable  In other words, the mining review is a sham, it may force some changes, but it will be cosmetic at best. Dan Gertler and the Steinmetz Groups partner Jewish-American Nir Livnat is also a director of Anglovaal Mining with Rick and Brian Menell and Basil Hersov of the South African Menell and Hersov dynasties. Hersov has been named as a beneficiary of fraud and racketeering involving British BAE Systems weapons deals with shady offshore companies. The octopus of South African connections is a story in itself, with links to top officials from Britain to Canada, like Canadian Senator J. Trevor Eyton, and offshore mining companies involved in all the big money (diamonds, gold, petroleum, cobalt) and big corporations with interlocking directorships: Coca Cola, Nestlé, General Motors, and the Bush-connected Barrick Gold Corporation. Barrick, of course, is partnered up with the Oppenheimer/De Beers firm Anglo-American Corporation at six sites in Africa, including Congo. Rick Menell is a director of Bateman Engineeringowned by Benny Steinmetzthe junior partner of the NIKANOR projects in Katanga. Britains Earl of Balfour is a director of both Bateman and NIKANOR. Menell is also the director of Teal Exploration and Mining, whose directors include Joaquim Chissano, former President of Mozambique; Murray Hitzman, a Clinton administration official with the White House Office of Science and Technology Policy (1994-1996); Hannes Meyer, who worked with Anglo-Gold Ashanti in Congo, 1999-2006, when militias in Ituri were funded to get the gold out. Teal Exploration also has ties to Anvil Mining and Anglo-American Corporation. Brian Menell, Nir Livnats associate on the board of Anglovaal, is on the board of Energem (formerly DiamondWorks) with Tony and Mario Teixeira. The Livnat connection ties Teixeira into networks that have supported both Joseph Kabila and Jean-Pierre Bemba in Congos bloody wars. Energem is also involved in the trans-Uganda-Kenya pipeline, along with Nexant, a subsidiary of the deep intelligence and defense insider Bechtel Corporation. The Gertler/Steinmetz interests apparently curry huge favors with Congos number two most powerful man, Augustine Katumba Mwanke, one of Joseph Kabilas closest allies and financiers, former Governor of Katanga (1998-2001) and director of Australias Anvil Mining. The UN Panel of Experts (2002) cited Mwanke for illegal arms deals and plunder of Congo: Mwanke negotiated arms purchases through Belgian banks and the DRC mining company MIBA. Reportedly, Mwanke personally clears $US 1,000,000 a day through his interests in Katanga mining deals. Anvil Mining has been involved in massacres in DRC. Anvil directors include former U.S. Ambassador Kenneth L. Brown, who served at U.S. embassies in Brussels, Kinshasa, Congo-Brazzaville and South Africa. Brown was Deputy Assistant Secretary of State for Africa (1987-1989) under George Schultz and George H.W. Bush and Director of Central African Affairs (1980-1981). The former top internal intelligence and security chief of the United Nations Observers Mission in the Democratic Republic of Congo (MONUC) has been worked for Anvil mining in Katanga since 2006. Gertler/Steinmetz interests have also been jostling for copper and cobalt concessions with Kinross-Forrest Group. Gertler has bought up or invested heavily in companies just to close them down. George Forrest also made the UN hit list of Congos looters and Forrest and his three sons helped bankroll Joseph Kabilas 2006 election victory. George Forrests daughter is reportedly married to the son of Louis Michel. Malta and George Forrest are controlling directors in Katanga Mining Limited. Born as Entreprise Générale Malta Forrest, the Belgian Forrest interests have been pillars of exploitation in Congo since at least 1922, when they launched mining operations in Katanga. Forrests Katanga Mining directors include: three Canadians; Congos Jean-Claude Masangu Mulongo, a former Governor of DRC and high official at the IMF and World Bank; and the current Governor of the Central Bank of DRC. The Forrest dynasty has munitions factories in Belgium and Kenya, and has partnered with OM-Group, in Ohio [USA], dealing in Congos cobalt and coltan. Forrest International also operates in Europe, Burundiinvolving him on both sides of Congos bloody warand the Middle East. Forrest interests in DRC include aviation, foods, plantations, construction, logging, copper and cobalt mining. Forrest companies are enmeshed in the coltan plunder in eastern Congo. Katanga is the worlds richest mining metropolis, part of the vast copper belt that stretches across northern Zambia and southern Congoand the home to unprecedented human misery due to state orchestrated repression and communities overrun with toxic mining, tuberculosis, cancers, immune disorders, racial discrimination and slavery. The Zambian copperbelt concessions over the border involve many of the same companies and interests mentioned above, and others. Workers and communities in and around these mines suffer all the standard treatable maladies (typhoid, malaria, tetanus, polio, malnutrition) as well. However, such stories are off the agenda for the North American, European, Japanese, Australian and Israeli media corporations providing the mainstay of English language indoctrination meant to instill racial superiority and a vast ignorance and obliviousness that leaves westerns populations shaking their heads and wringing their hands and clicking their tongues, while all the while wondering what is to be done? It does not cross peoples minds that their own hands are dirty, that their own consciousness has been falsified, as all the raw materials from Congo enrich the lives of people in the United States, Canada, Europe and Israel. The immediate capital investment required for just one Gertler project in Katangathe Komoto Oliveira Virgule (KOV) projectis reportedly $US 1.8 billion dollars, income to kick start billions of dollars of unused equipment mothballed in the middle Mobutu era. There are rumors that Bechtel is involved, but the KOV project involves ThyssenKrupp AG as a minor player. Dan Gertlers grandfather, Moshe Schnitzer (d. November 2007), was known in Israel as Mr. 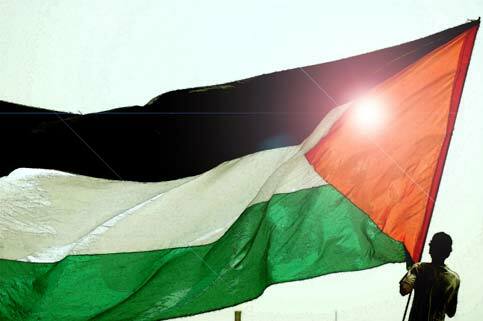 Diamond; in youth he joined the pre-state underground organization Etzel (Irgoun), an Israeli military cell self-defined as an untra-nationationalist Jewish militia, but one that committed acts of terrorism in service to the Israeli cause. Moshe Schnitzer assumed a major role in the Africa-Israeli diamond trade in the 1950s in a partnership business called Schnitzer-Greenstein. Schnitzer later founded the Israel Diamond Exchange in Tel Aviv in 1960, which today brings Israel $14 billion annually in blood business, and is the countrys second-largest industry, but Israels top export. King Leopold III of Belgium decorated Schnitzer in recognition of his activities favoring the close relationship of Belgium, Israel and the DeBeers diamond cartels, and Schnitzer was also President of the Harry Oppenheimer Diamond Museum in Israel. The diamond jewelry trade in the United States is more than $30 billion annually, and 99%everything that is not synthetic or artificial diamondsinvolves blood diamonds and the above organized crime syndicates. Israel buys more than 50% of the worlds rough diamonds, and the U.S. buys two-thirds of these. The diamond factories are located in Nethanya, Petach Tikvah, Tel Aviv, Ramat Gan, Jerusalem, and other cities around the country, but most of the offices were in Tel Aviv in the financial district on Ahad Ha'am Street. Dan Gertlers father, Asher Gertler, and his uncle, Shmuel Schnitzer, manage the original family business, and Shmuel is Vice-Chairman of the Belgian-based World Diamond Councilthe entity that spends more money promoting the false image of conflict-free diamonds than it does helping any of the people dispossessed or brutalized by the diamond industry. There was no reply from Rabbi Bentolila, he was apparently busy readying for another Bar Mitsvah in Belgium. Unfortunately for Dan Gertler and his spiritual advisers, the Torah says that a Jew can keep a slave, but a Jew kept as a slave must be redeemed, and thatan empty, foolish justification for exploiting innocent peopleis how religion falsifies spirituality. In January 2008 the International Rescue Committee, who is also discussed in this article, released its second survey of mortality in the Democratic Republic of Congo, estimating that 5,400,000 people have died, or some 1500 people every day. Mortality in the Democratic Republic of Congo: an Ongoing Crisis, International Rescue Committee, January 2008, http://www.theirc.org/special-report/congo-forgotten-crisis.html. However, IRC statistics are highly biased and politicized. See: keith harmon snow, Over Five Million Dead in Congo? All Things Pass, January 3, 2008, http://www.allthingspass.com/journalism.php?catid=71. Personal interview, Democratic Republic of Congo, August 2006.
 keith harmon snow, Warlords Deadly Battle, Toward Freedom, 2007. Officers: Antonio Teixeira, President & CEO; Robert G. Rainey, CFO; Brett Thompson, COO, Mining; Dimitri (Jimmy) Kanakakis, Vice President, Corporate & Legal Affairs; Bernard Poznanski, Corporate Secretary; Board Members: Brian Menell, Richard Dorfman, Bruce Holmes, Robert Rainey, Antonio Teixeira, www.energem.com. See: Africa/Diamonds: Rough diamonds, Africa Confidential, 5 March 2004, Vol. 45, No. 5; and Equatorial Guinea: All Theft is Property, Africa Confidential, 17 Nov. 2006, Vol. 47, No. 23: p. 12. Tim Hoare, the head of the advisers that launched it, Canaccord Adams, sits alongside rock star and champion of Africa Bob Geldof on the board of the television-production company Ten Alps. See: Ben Laurance, Energy firm link to blood diamonds, The Sunday Times, December 30, 2007. See: keith harmon snow, A Peoples History of Congos Jean-Pierre Bemba, Toward Freedom, September 18, 2007. Yossi Melman and Asaf Carmel, Diamond in the rough, March 24, 2005, www.haaretz.com. See: keith harmon snow, Congos President Joseph Kabila: Dynasty or Travesty? Toward Freedom, November 13, 2007, http://towardfreedom.com/home/content/view/1171/1/. Private interview, Kinshasa, August 2006. Making a Killing: The Diamond Trade in Government Controlled DRC, Amnesty International, 2002, AFR 62/017/2002 22/10/2002. See: ICEM protests Congos Transport, Diamond Injustices, International Federation of Chemical, Energy, Mine and General Workers Union, May 7, 2007, http://www.icem.org/en/78-ICEM-InBrief/2243-ICEM-protests-Congo%E2%80%99s-Transport-Diamond-Injustices. Diamond miners killed in DR Congo, BBC News, 7 August 2006, http://209.85.165.104/search?q=cache:z9WCcOGeL8MJ:news.bbc.co.uk/2/hi/africa/5254006.stm+%22MIBA%22+%22illegal+miners%22&hl=en&gl=us&ct=clnk&cd=4. 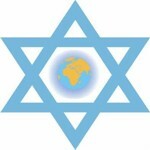 See: http://www.jewishafrica.com/ and http://www.chabad.org/centers/default.htm/aid/117894/jewish/Chabad-of-Central-Africa.html . Private communication, Rabbi Chlomo Bentolila, August 16, 2007. Lag Baomer in Kinshasa, June 2005, www.hassidout.org/page_derniere26.htm. Visite de lAmbassadeur Revah a Kinshasa, Kadima 010, June-September 2007, http://74.52.200.226/~sefarad/kadima/kadima10.pdf. See: keith harmon snow, Behind the Scenes: Warlords Deadly Battle in Congo, Toward Freedom, August 9, 2007. Nicole Gaouette, "Inside Israel's diamond trade: a family affair," Christian Science Monitor, 21 February 2002, http://www.boycottisraeligoods.org/modules6437.php. Yitzhak Danon, Top Israelis accused of illegal diamond deals: Israel: Lawsuit claims corruption in Congo diamonds for arms deal, Globes (Israel), 18 February 2004, http://www.minesandcommunities.org/Action/press269.htm. See also: Column One: What Lieberman Wants, Jerusalem Post, October 20, 2006. http://www.jpost.com/servlet/Satellite?cid=1159193481395&pagename=JPost%2FJPArticle%2FPrinter. Christian Dietrich, Blood Diamonds: Effective African-Based Monopolies, African Security Review, Vol. 10, No 3., 2001, http://www.iss.co.za/ASR/10No3/Dietrich.html. See: keith harmon snow, Behind the Scenes: Warlords Deadly Battle in Congo, Toward Freedom, August 9, 2007. The Angolan military protected Kinshasa during the so-called rebellion involving Rwanda and Uganda. The Angolans do not like the Rwandans or Ugandans due to their military and commercial relations with Angolan rebels, the União Nacionalpara a Independência Total de Angola (UNITA), and because Rwandan and Ugandan soldiers invaded Angola after their failed bid to control the Congos strategic Inga Dam power station and Matadi port between 1998 and 2001. Angola sent troops to Congo in July and August 2006, and there were black Angolan troops amongst the European Union mercenary forcesEUFORsent to quell any possible rebellions during the historic national elections. Angola also sent troops to Congo to back Kabila during the warlords deadly battle of March 2007. Presidential Chopper, Africa Confidential, Vol. 47 Number 23, November 17, 2006. See: Overseas Security Services Congo sprl web site, www.oss-congo.com. OSS-Congo owner Philippe de Moerloose communicated with this author after his name appeared in a prior story mentioning OSS-Congo and offered to meet in Europe and provide the author with the correct information about his companies operations in Congo. Repeated communications with De Moerloose seeking clarifications and information for this story were not answered. See e.g., SEC info on Lenorth Holdings: http://www.secinfo.com/dsvrw.z14q.htm and SDG Marketing: http://www.secinfo.com/$/SEC/Filings.asp?As=M&Name=incmarketingsdg. Lior Chorev, The First [DRC] Diamond Polishing Plant to Move into Full Production, Press Release, DGI Group of Companies, January 11, 2005, http://www.pressemeldinger.no/read.asp?RecNo=8106. Private communication, Lior Chorev, January 19, 2008. See: keith harmon snow, Over Five Million Dead in Congo? January 30, 2008. NATO Transformation, the Mediterranean Dialog, and NATO-Israel Relations, October 23, 2006, http://www.nato.int/med-dial/2006/registered_participants_isr.pdf. Yossi Melman and Asaf Carmel, Diamond in the Rough, Haaretz.com, March 24, 2005. The Olayan Group web site: http://www.olayangroup.com/directory.asp. Gil Hoffman, Politics; Unconscious Legacy, Jerusalem Post, features.jpost.com, January 3, 2008. United Nations Panel of Experts Confidential Report. Under the contract Emaxon granted Miba loans totaling $5-million in 2003, and a further $10-million subsequently. In exchange, Emaxon gained rights to 88% of Mibas production at a discount, formally, of 5%. Herzog, Fox and Neeman web site: http://www.hfn.co.il/pages/lawyers/neemany.htm. See: keith harmon snow and Rick Hines, Blood Diamond: Doublethink and Deception About those Worthless Little Rocks of Desire, Z Magazine, June and July, 2007. On Neeman and Hurvitz, see Markstone Capital Group, http://www.markstonecapital.com/markstone2_5.htm; on Robert Rotberg, Maurice Templesman and the Harvard Belfer Center, see: keith harmon snow and Rick Hines, Blood Diamond: Doublethink and Deception About those Worthless Little Rocks of Desire, Z Magazine, June and July, 2007. Criminal rackets known to the United Nations security were or some time illegally shipping uranium and cobalt out of Katanga by road to Zimbabwe and Tanzania (private interview, U.N. Official, 2006). Israel and Africa: Assessing the Past, Envisioning the Future, The Africa Institute American Jewish Committee and The Harold Hartog School Tel Aviv University, May 2006. Aharonot weekend supplement on 19 September 1999. Nicole Gaouette, Inside Israel's diamond trade: a family affair, Christian Science Monitor, 21 February 2002, http://www.boycottisraeligoods.org/modules6437.php. For a discussion of the veracity of these facts and more on the Russian Military Brotherhood see: Central Africa Minerals and Arms Research Bulletin, Edition 2, International Peace Information Service, June 18, 2001. Jimmy Johnson, "Israelis and Hezbollah Havent Always Been Enemies," Appearing in Israeli Committee Against House Demolitions USA, 6 September 2006, http://72.14.253.104/search?q=cache:pYAbqkMgTJ4J:www.icahdusa.org/2006/09/06/israelis-and-hezbollah-haven%E2%80%99t-always-been-enemies/+%22hezbollah%22+%22congo%22&hl=en&gl=us&ct=clnk&cd=15. Report of the Panel of Experts Appointed Pursuan2t to UN Security Council Resolution 1306 (2000), Paragraph 19, in Relation to Sierra Leone, December 2000, http://www.sierra-leone.org/panelreport-I.html. Energem web site: http://www.energem.com/energem_logistics_industrial.html; and also: keith harmon snow and Rick Hines, Blood Diamond: Doublethink and Deception About those Worthless Little Rocks of Desire, Z Magazine, June and July, 2007. Charles Higham, Trading With The Enemy: The Nazi-American Money Plot, 1933-1949, Delacorte Press, 1983. Charles Hingham, Trading With The Enemy: The Nazi-American Money Plot, 1933-1949, Delacorte Press, 1983. Susan Mazur, Deeper Into the Dillon-Euphronios Nexus with David N. Gibbs, SCOOP, April 26, 2006, http://www.scoop.co.nz/stories/HL0604/S00323.htm. David Gibbs, The Political Economy of Third World Intervention: Mines, Money and U.S. Policy in the Congo Crises, University of Chicago Press, 1991. Eric Onstad, UPDATE 2-CAMEC shares soar after agrees Congo joint venture, Reuters, Nov. 7, 2007. Brenna Chigonga, Zimbabwe: Meet Countrys Richest People, The Herald, July 14, 2007. See: Maurice Carney, Congos Contract Review, Pambazuka News, January 17, 2008. Martin Creamer, Funded NIKANOR presses on with $1,8bn copper mine, refinery, Mining Weekly, September 21, 2007. Julie Walker, Hersovs and Menells are in no hurry to yield control of Anglovaal, Sunday Times, http://www.btimes.co.za/98/0517/comp/comp17.htm. Evelyn Groenink, Arms deal: Who got R1bn in pay-offs? Mail & Guardian, January 12, 2007, http://www.mg.co.za/articlePage.aspx?articleid=295457&area=/insight/insight__national/. Teal Exploration & Mining web site: http://www.tealmining.com/tp/brief.asp. Press Release: Kenya-Uganda Oil Products Pipeline, Kenya-Uganda Joint Co-coordinating Commission for Extension of Oil Pipeline, August 17, 2005, http://www.energyandminerals.go.ug/Press%20Release_Oil%20PipeLine%20Extension.pdf; see also: Energem web site: http://www.energem.com/energem_corporate_info.html. François Misser and Olivier Vallée, Des matières premières toujours convoitées. Les nouveaux acteurs du secteur minier Africain, Le Monde Diplomatique, May 1998, p.24-25; also Wayne Madsen, Genocide and Covert Operations in Africa, 1993-1999, Mellon Press, 1999. Diamond Fields International Management: http://www.diamondfields.com/s/Management.asp. Inculpations à la Belgolaise, Le Libre Belgique, 4 June 2004. Private interview, Kinshasa, DRC, April 2007. Norm Dixon, Congo Massacre: Australian mining company's managers indicted, Green Left Review, November 4, 2006 http://www.greenleft.org.au/2006/689/35790. His name is known, but he threatened to track down and break the authors legs if he is revealed. See: Barry Sergeant, NIKANORs Quandry: Meet Dan the Man, King of the Congo, MoneyWeb, 4 April 2007, http://www.moneyweb.co.za/mw/view/mw/en/page1329?oid=84351&sn=Detail; Congo Kinshasa: After the Election" Africa Confidential, Vol. 47, No. 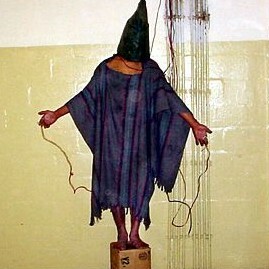 23, 17 Nov. 2006; and United Nations Security Council Report to the Secretary General, S/2003/1027, 23 October 2003. Personal investigation, Ndola, Zambia copperbelt mines, 2000. These are: the Federal Ministry for Economic Cooperation and Development (BMZ); Federal Foreign Office; Federal Ministry of Finance; and Federal Ministry of Economics and Labor. Since 1998 the Supervisory Board Chairman has been State Secretary Erich Stather from the BMZ. Karen Hayes and Richard Burge, Coltan Mining in the Democratic Republic of Congo: How tantalum-using industries can commit to the reconstruction of the DRC, Fauna & Flora Intl, 2003. See keith harmon snow, Three Cheers for Eve Ensler? Propaganda, White Collar Crime, and Sexual Violence in Eastern Congo, Z Magazine on-line (Z-Net), October 24, 2007. Moshe Schnitzer: Un Legende sen est Allee, Kadima 010, June-September 2007, http://74.52.200.226/~sefarad/kadima/kadima10.pdf. The Israel Diamond Exchange - Kiryat Moshe Schnitzer, Diamond Key, 2002, http://www.diamond-key.com/diamonds-newsletter/.